This podcast series looks at the changing skillsets and career paths in today's media technology environment. This series is brought to you by MediaRoad, supporting the transformation of the European media sector by building an ecosystem for innovation. How does one of Europe's smallest broadcasters maintain a technical edge with just a small team of busy engineers? In this podcast we meet Dr. Yioula Kyriacou, Head of Engineering for Cyprus Broadcasting Corporation. Yioula leads of team of broadcast and I.T. engineers who deal daily with the merging boundaries between computer technology and broadcast infrastructure. How does she attract new talent and how has her own training in project management helped to drive technological change within CyBC. In the second episode of MediaRoad SkillBytes we meet Judy King who is Innovation Director at BBC Monitoring, Judy heads up a small team bridging the gap between editorial and technology. She is now focusing on the challenge of combining automation and algorithms with the expertise and insight of BBC Monitoring's multilingual journalists. 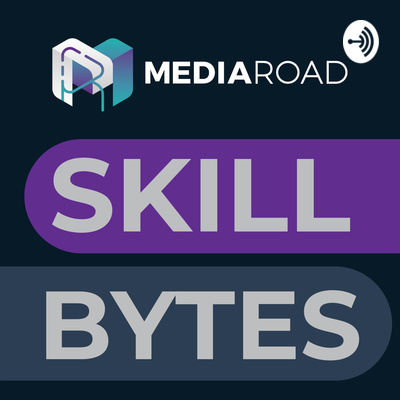 This is the first episode of our new podcast series, MediaRoad SkillBytes: where we're exploring changing skillsets and career paths in today's media technology environment. Our first guest is Léonard Bouchet - head of Data and Archives at the French speaking Swiss broadcaster RTS. Léonard shares his experience of developing a new organisational structure within the Data and Archives team and explains what helps to drive rapid change inside RTS.